The FGI is already working on their 2019 Summer Internship Program and hopes to see it expand even further. The internship program has been a great assistance to the FGI research activities at the UIUC because the interns return with hands-on experience of the testing, installation, and quality control aspects of geomembranes. Owens Corning Science and Technology, LLC, located in Granville, Ohio is seeking a UIUC Civil and Environmental Engineering Student for a Summer, 2018 Internship. Interns will work on research project teams for geomembrane product and systems development and research involving: geomembrane installation practices, performance evaluation/environmental impact, and applications fit and expansion, as well as publish research results at conclusion of the internship. Layfield Group, located in San Diego, California, is seeking Civil and Environmental Engineering Students interested in Junior Estimating and Project Engineer positions for a Summer, 2018 Internship and/or permanent employment position. Interns will learn all aspects of geomembrane fabrication, installation, testing, welding, patching and more. Layfield is seeking motivated individuals who are able to communicate with team members, travel and work outside. Physically active candidates, with the ability to perform manual labor in the elements are recommended. Drug test and driver’s license are required. Lodging will be provided. Interns will be trained and will participate as a third-party Construction Quality Assurance (CQA) team member in compacted clay liner and geosynthetics liner construction processes. Interns will gain well-rounded knowledge of processes critical to specification writing, containment system design, project review, and project management. Responsibilities include: perform construction inspection and testing of soil and geosynthetic liners including preparing written and/or computer reports, construction monitoring and documentation of activities at landfill and other waste containment facilities or related projects, and assuring compliance with all applicable project specifications and documents. Candidates must have good communication and organization skills. Candidates must have a valid driver’s license, the ability to lift 70 pounds, willing to travel (expenses covered) and work 6-7 days/week, including overtime. Interns will learn all aspects of geomembrane fabrication, installation, testing, welding, patching and more. 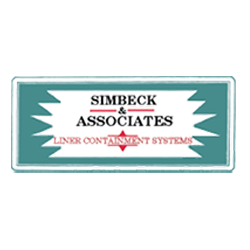 Simbeck & Associates is seeking motivated individuals who are able to communicate with team members, travel and work outside. Ideal candidate seeks hands on exposure to practical field applications of an engineering specialty.